Standing in line waiting to board Air China flight CA880 from Jose Marti airport in Havana, I listened to the standard airport announcements in Spanish and English, warning passengers that it is forbidden to bring certain objects on board. I can understand the warning about nunchaku and aerosol sprays and all, but in this day and age is there anyone who might be unclear about bringing handguns and explosives in their carry-on luggage? Never mind the fact that we have already passed through security with our Glocks and bricks of Semtex in order to hear the announcements, I would have thought most travellers would be more concerned with keeping track of their duty free purchases. I think back on the last twelve days, which have been great and busy and relaxing all at once, and I wonder where it went. For the first five nights, Liza and I rented an apartment in Vedado (Havana, near the Hotel Havana Libre). She was having a blast at the Ritmo Cubano Festival, dancing all day and all the night away. I was doing my thing smoking cigars with friends, writing articles, and wandering around Habana Viejo. I would join Liza most evenings for the festival parties, at some of the hottest spots in town. If you know two things about me, they are these: 1) I never care about where the hot spots are in any given town; and 2) If going to a hot spot is going to make my girlfriend happy, then that’s where I’ll be… especially if I can smoke cigars there! Liza took me to a club Wednesday evening (in the basement of a synagogue, of all places) to see a group called Interactivo, and we sat next to a guy who had a weird tattoo on his arm, and we started talking with him and his group. It turns out that one of group, who spent seven years in Toronto, had a keen interest in cigars, and she and I shared a passion… along with several mutual friends. It is amazing the people you meet about town! Who would have thought I would run into Ian from Milton and Craig from Alberta while sitting in my buddy’s shop in Miramar! But there hey were, they just walked into La Escogida as Alejandro, Farrah, and I smoked and chatted. It was pouring rain outside, so I wasn’t in a hurry to go anywhere, so the they joined he party for a couple of hours. We had a blast, and as it always does, the rain stopped. I caught a taxi back to the apartment. Friday Liza and I went our separate ways all day, and agreed to meet at the Hotel Nacional at midnight. I spent the morning with a friend, the afternoon at some cool events, and the evening at the Nacional. She walked in right on time, and as we were ready to back to the room, a friend and his wife walked in, and we sat down for another drink. After that we were about to leave (an hour later), when another group of friends called us over for another drink… and an another hour later we were finally heading home. Havana Nights are seldom early nights. Saturday morning we closed up the apartment and headed to Varadero. I have been to Be Live Experience a Turquesa several times, but this was Liza’s first stay at an all-inclusive resort. The newly renovated room was perfect. The beach was amazing, the food and entertainment passable, and the four days we spent together in heaven. We went into town for one afternoon, but aside from that we spent our days at the beach. All good things come to an end; Liza took the bus back to the Havana airport Wednesday morning, leaving me behind to clean up. I spent the next two days relaxing, smoking cigars, and trying to forget that the weather back home was still in the teens, and likely raining. My new friend Pete tried to stress me out by scheduling this, that, and the other thing; I told him that my watch wasn’t working, and that if things worked out for something, then okay. I do not live Resort a life on a schedule beyond cigar o’clock, cappuccino o’clock, and meal time. I sleep when I’m tired, I go for a walk when I feel like it. He adjusted, and aside from the time when I wanted to sit in the sun (he preferred he shade), we spent a lot of time together. I found it somewhat amusing boarding an Air China flight to travel from Cuba to Canada, but it worked out perfectly. The plane was comfortable (my second Dreamliner experience), hardly half full, and the seats were comfortable. I had planned to sleep, ended up watching a movie first. After the movie I thought I would sleep; I ended up starting to write this article. By the time we were ready to land, I was slightly more tired than when I boarded. At the Security Checkpoint I was informed that the maximum number of cigars I was allowed to take was two boxes and twenty loose (unbranded or otherwise) cigars. This was new; I had always been told that I could take as many boxed or branded cigars as I liked, and up to fifty unbranded cigars. Fortunately the girl, adamant in her position at first, became friendlier as we talked. Without mentioning it, I thought it was ridiculous, as I could easily buy as many boxes and single cigars at the Duty Free shop (past Security) as I liked. Entering a Canada (in Montreal) I was charged the full fees, no discussion, on the cigars I had over my limits. The agents are usually more flexible. Fortunately I had the right credit card with me, else I would have ended up with confiscated cigars. This was my seventh trip to Cuba, and it was a fun and eventful one. 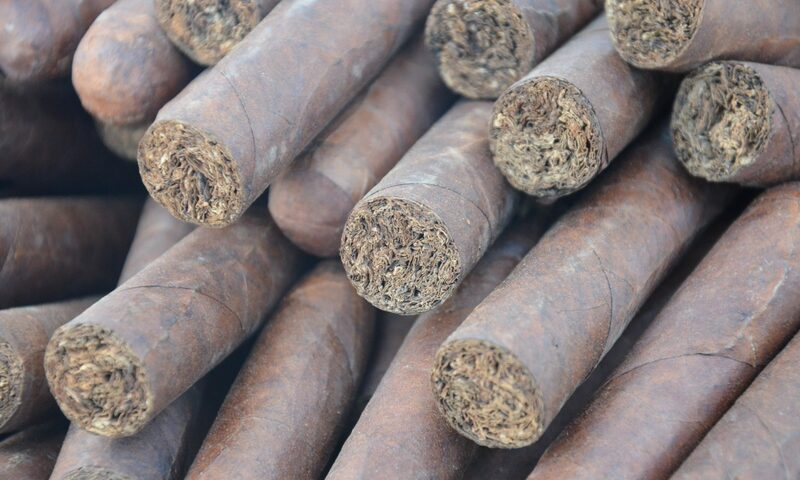 It is the first time I have gone able to claim that I am a cigar blogger… which I am, thanks to you! I met some great people, went to some amazing parties, spent a lot of quality time with Liza, partied hard in Havana (okay, not too hard!) and completely relaxed in Varadero (okay, not completely…). I smoked many wonderful cigars, drank some agreeable rum drinks (and one absolutely amazing glass of Havana Club Cohiba Union rum), had some decent meals, and what more can you ask for?